A peak power demand controller automatically manages load status not to exceed aimed maximum energy consumption of electric power facilities in public office, factory, school, etc. It detects energy usage to prevent you from energy overuse by shutting down power as soon as it reaches near-maximum level. Previously the communication between this controller and a remote load controller or a management PC was made via RS232/RS485. With Sollae Systems’ serial Ethernet networking module, however, it is feasible to remotely control and manage the amount of energy usage in real-time. 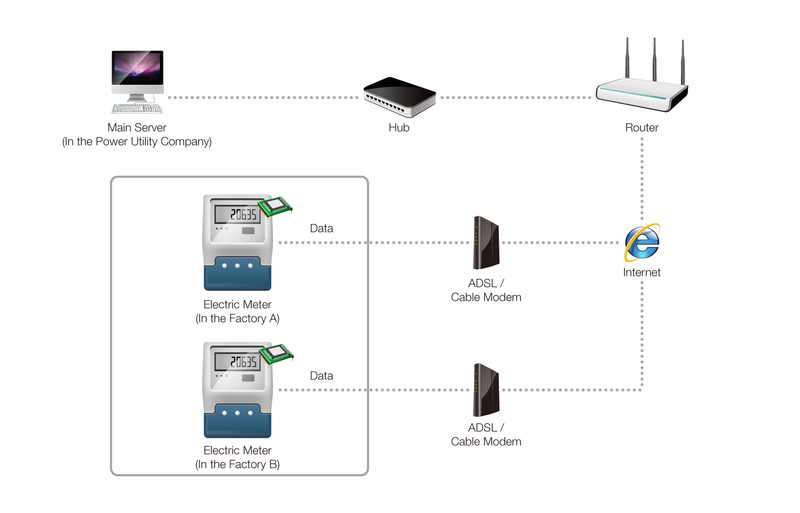 Since our serial Ethernet networking module offers those controllers seamless network connectivity, it enables integrated electronic consumption management from the main server. It is easier to achieve your goal to monitor energy usage of each factory and branch all over the world, allowing you to allocate power practically.